As per latest statistics India tops the world in child labor, there are approximately 60 million kids engaged in child labor, a lot of them in hazardous jobs. Apart from poverty one of the main causes for this tragic situation is the lack of education; both for the parents and the kids themselves. One way to prevent kids from getting into child labor is to educate them. Sounds simple but turns out that the existing primary education system we have is not well equipped for kids who need extra help and these kids often drop out early and end up being a child labor statistic. One organization which is making a serious effort at changing this situation is Vidyarambam. 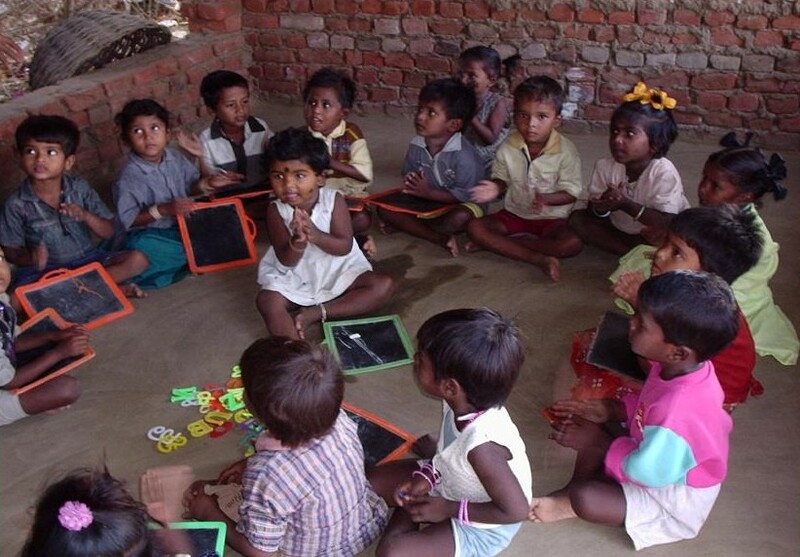 Based in Tamil Nadu, India this organization aims to reduce the dropout rate among rural under-achieving primary school students by providing them with enjoyable quality education and preparing them to take the challenges of higher education. Among other ways one way Vidyarambam delivers quality education is by setting up learning centers which conduct 2 hour support classes in the evening. The tutors are usually local unemployed women who are trained by Vidyarambam in cutting edge education techniques. The support classes are attended by kids who are in-school, out-of-school or are working. The children in these support classes get personalized attention to help them with basic reading and arithmetic skills. Another innovative idea Vidyarambam came up with is the mobile toy library which is a van with more than 200 educational games and puzzles in it. This van visits various schools and makes 2-3 hour stops during which kids guided by tutors play with the games. This program was also featured in The Hindu newspaper. Another program that is gaining traction is the Easy Learning English class which Vidyarambam conducts in various Government run schools to help rural children be successful in this global economy. Started in 2009, this is a free 3 month long weekly class in basic spoken and written English for children in 6th, 7th and 8th grades. So far in the 2010-11 school year 38 Govt. schools have signed up for this class and about 4500 students are expected to benefit from this program. Vidyarambam programs operate in 12 of the 30 districts in Tamil Nadu and have supported over 500,000 kids so far. Given the success of its programs Vidyarambam has also ventured into running a full time regular school in Nagapattinam, the town which was hit by the tsunami in 2004. This school, built with the help of Rotary Club International and the local government, caters to kids affected by the tsunami by providing them with quality education and a place to live. Vibha has consistently supported Vidyarambam programs in Nagapattinam and Cuddalore districts of Tamil Nadu since 2004. More than 7000 kids have been benefited in the past 7 years through Vibha supported Learning Centers and Children’s libraries. Although Vidyarambam’s initial aim was to just get the kids started on their journey towards literacy, the organization has now set itself the goal of assisting kids up until they are in 5th grade so that the kids get every help they need to get ready for higher education. They plan on accomplishing this goal by setting up the following in every village.